If anything typifies contemporary life, it’s the desire to control. And we, as a society, have managed to apply that supremely to smell in ways we are no longer even aware of. Part of it is because a large part of the smells of humanity are not exactly pleasant. But through industrialization and modernization, we have managed to control most of that: now things that are naturally smelly get de-odorized, and things that are not normally fragrant get scented—how we want, and when we want. So, how does art factor into this? Art, from its origins, has been about capturing and communicating our lives and experiences, whether real or imagined. It says a lot about Western culture that this has been done primarily visually—and secondarily through sound. However, the Western conception of art began changing dramatically at the beginning of the twentieth century. It could be argued that art opened up to the sensory dimensions of life and reality other than the merely visual (or “retinal,” to use Duchamp’s term). Smell is simply one of those dimensions, but one that has been discriminated against from classical Greek to German enlightenment philosophy, as being “base” and “primitive”. But it is also one of the most powerful; often considered to be closer to memory and emotion. This series is as a re-examination of the collection of the museum, in various ways, through the curatorial lens of scent. In the first part we focus on the material and techniques of art making, which are often smelly, but these scents don’t usually make it into the museum. In the following exhibits, we focus on other aspects of the collection; so stay tuned! This project is curated by Ashraf Osman of the Scent Culture Institute (Bern-Zurich) and Anja Seiler of Kunstmuseum Thun, and will be continued in three other experimental parts in Projektraum Enter at Kunstmuseum Thun. It is an olfactory experiment, which operates in various ways with the sense of smell and works from the collection of the Kunstmuseum Thun. 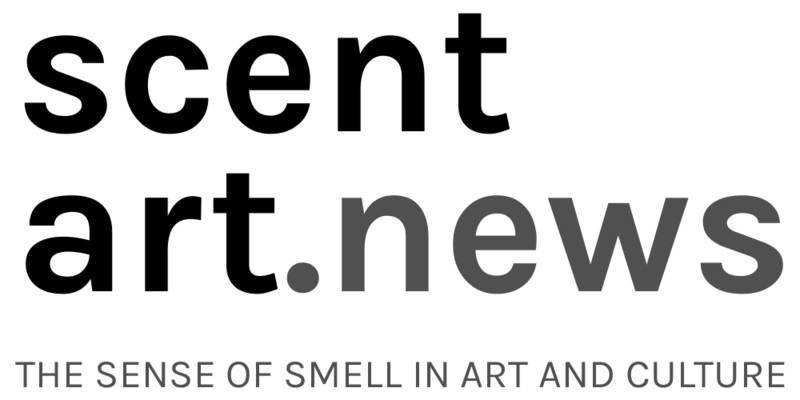 Tags: artistic perfumery, Ashraf Osman, exploring sense of smell, Kunstmuseum Thun, Schnupperschau. Bookmark the permalink. Previous post ← Join us at the Scent Culture Club!